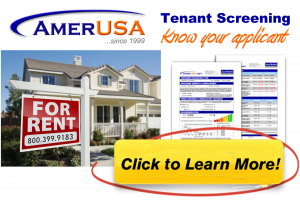 This is a quick overview of evicting a tenant. You can search for laws and particular circumstances in our articles or visit our forums to learn from personal stories. Eviction procedures are established by state law, and can even be further modified and restricted by local level laws. Generally speaking, the steps in the eviction process include giving notice, a complaint (summons to court), the trial, right to redemption and, finally, removal. Tenancies can be terminated for a specific reason – something the tenant has either done or not done, such as not paid their rent, damaged the property, or engaged in illegal drug dealing at the property – which provides you with a cause for termination. However, tenancies can also be terminated when there is no lease agreement, or the lease has ended – meaning you are terminating without the tenant providing you with a cause, or simply, without cause. This type of termination cannot occur if there is still a valid lease in place. Whether you are terminating a tenancy with cause or without cause, you must first serve the tenant with notice of your intention to terminate. This is often referred to as a notice to quit or a notice to vacate. Notification of an intended termination with cause is usually only required a few days in advance – commonly 3 to 5 days. That way, the tenant has a few (reasonable) days to remedy the situation, while not leaving you stuck for a month or more while the situation gets worse and your potential liability increases. Termination without cause generally requires more of an advanced notice to the tenant – usually, 1 month up to as high as 3 months, since the tenant has not actually done something to cause it and it is reasonable to allow them additional time to find a new place to live. Specific state laws on eviction time frames and required reasons may be found under landlord-tenant state laws.